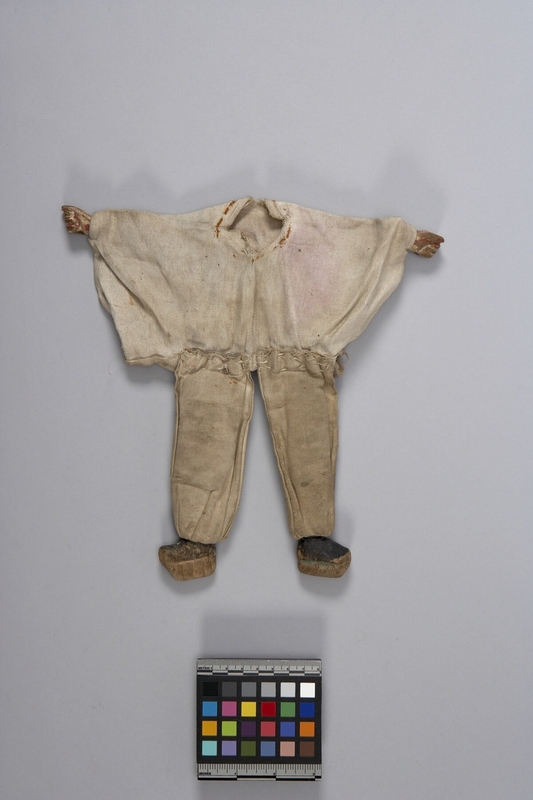 Item number 683/3 from the MOA: University of British Columbia. 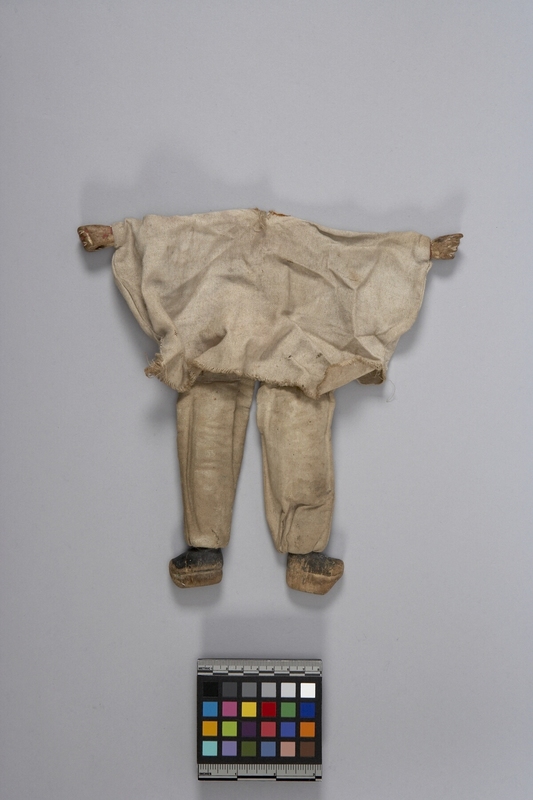 Cream coloured cloth tunic attached to two small hands and cream coloured stuffed cloth legs attached to small black wooden feet. Head to puppet is missing.